There are only 6 places left for the retreat at Hankerd Inn the weekend of June 26 - 29. Please remember to bring your $50 deposit to the guild meeting TONIGHT if you are planning to attend. The total cost is $95 for Friday - Sunday. There is an additional charge of $35 if you arrive on Thursday. Weekly Round-up for April 27, 2014! Is everyone working on their pincushions for the swap? Love that cool wintery palette. 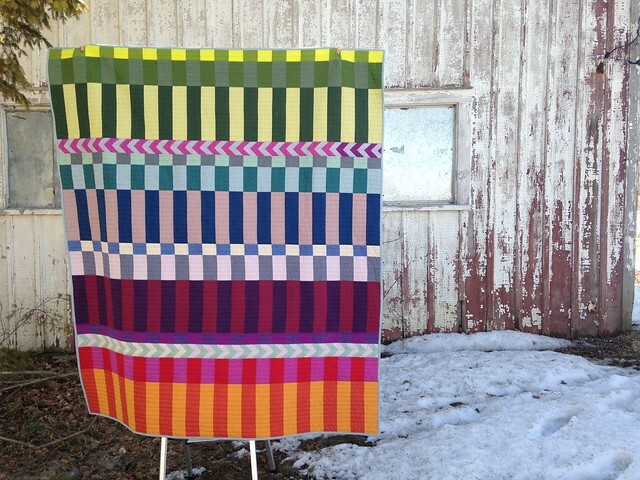 Ginia has finished quilting last week's quilt, and has started on a new one to begin this week! Dancing nine patches! Hope everyone can make it to the meeting Wednesday! There will be a meeting on Wednesday, April 30th at 6:30pm at Pink Castle Fabrics! Please book your spot, and please consider bringing a chair. There is a pincushion swap! Pincushion Swap: Make a pincushion and bring it to the meeting wrapped up somehow. This will be a yankee swap, so bring it wrapped. There are a million kinds of pincushions - get creative! Or get traditional! Round robin-ers- please email Dorie if you're thinking about dropping out. AND ANYONE INTERESTED SHOULD JUMP IN! Just let Dorie know so she can work her magic logic puzzle of assigning the next round. Don't miss the One Day Retreat, April 27, 2014, 9am to 9pm at Pink Castle Fabrics, breakfast and lunch included. $20. Sign up here! Next month's swap is pincushions! Bring your wrapped pincushion for our usual Yankee swap. Dues are past due. People who have not paid will be removed from our email list soon. 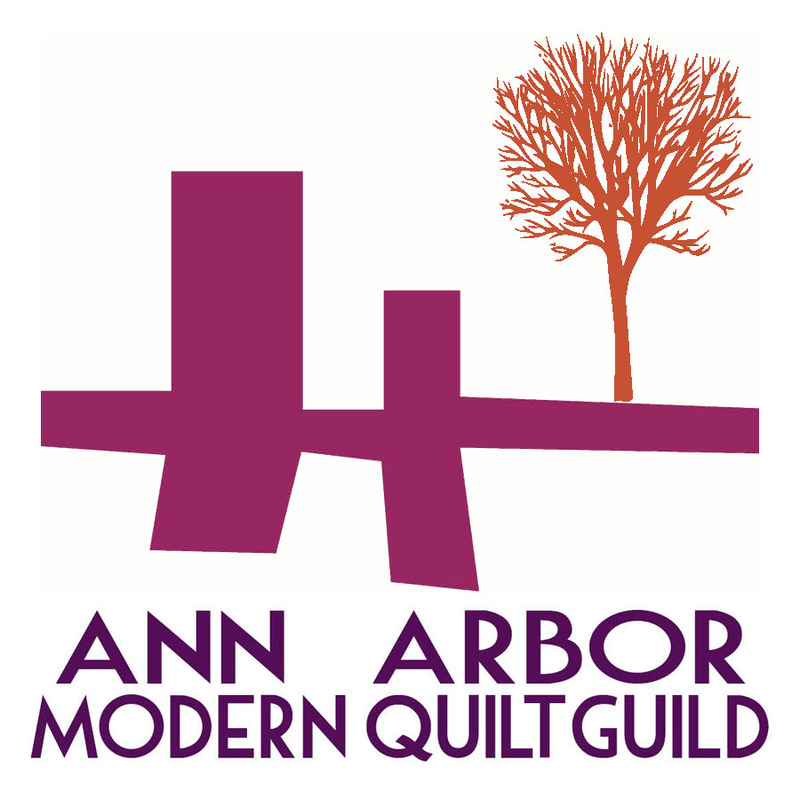 Modern Quilt special exhibit with GAAQG - deadline for entry is May 1. Forms were sent out by email. 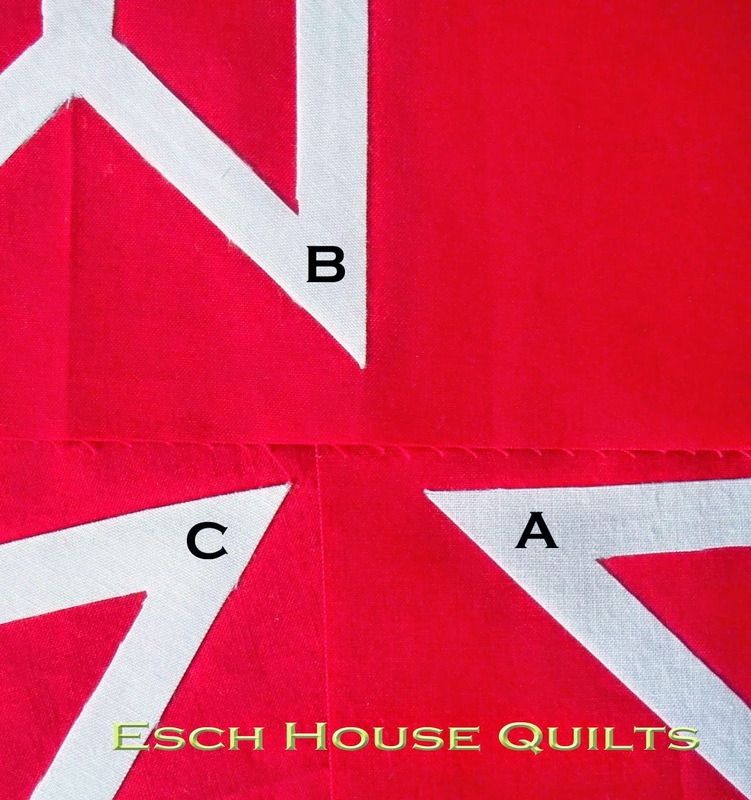 Submit your quilt now! The summer retreat will be June 26-29. Submit your $50 deposit to Jen now. Sarah Fielke is coming May 12 and 13. Her class on the 13th is full, but you can sign up for her trunk show on Monday, May 12 at 7pm here. There will be a book signing open to all prior to the trunk show. Brenda has all her books in stock. Rossie distributed our new membership cards and MQG pins. Jackie is the winner of the Riley Blake Challenge! Congratulations, Jackie! The fabric for the Michael Miller contest should be here for the next meeting. 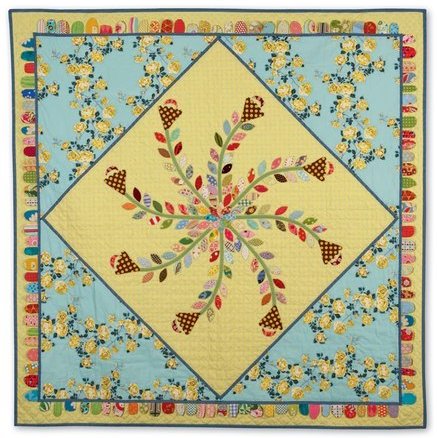 Brenda is offering AAMQG members a $50 discount on the September and November Camp Stitchalots. The September camp features Bari J and Vanessa Christensen and focuses on embellishment. Dates are Sept 19-21. The November camp teachers are Carolyn Friedlander and Sherri Lynn Wood. Foundation piecing, applique and curved piecing will be the main topics. Camp is Nov 14-16. 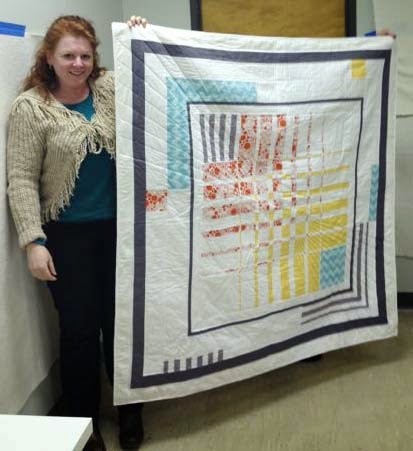 The member spotlight this month featured Courtney Meszaros and her wonderful quilts. Courtney will interview Debbie V for next month. Skill School - Debbie G showed how to make a hanging sleeve for your quilt. Her tutorial is here. Eight people brought blocks for the Disappearing Nine-Patch block lottery - the winner was Jackie! Show and Share was inspirational as always! Rebekah has a new finish, called Rosalie. I love this one! She used a pattern by Valori Wells. Debbie has been testing ways to keep white fabrics white while using fusible applique on her blog. Weekly Round Up, April 13, 2014! 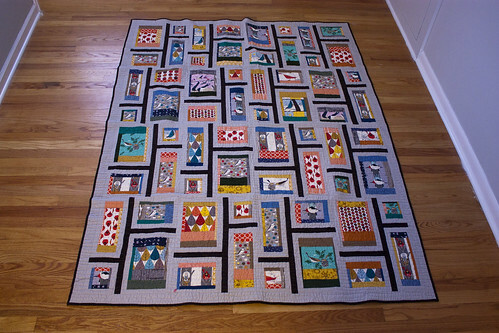 Dorie's finished this amazing quilt with peppered cottons! Rebekah's sharing her awesome Charlie Harper quilt (she modified Elizabeth Hartman's Rapid City pattern). I finished my Garden Party Tango top (using a traditional block). 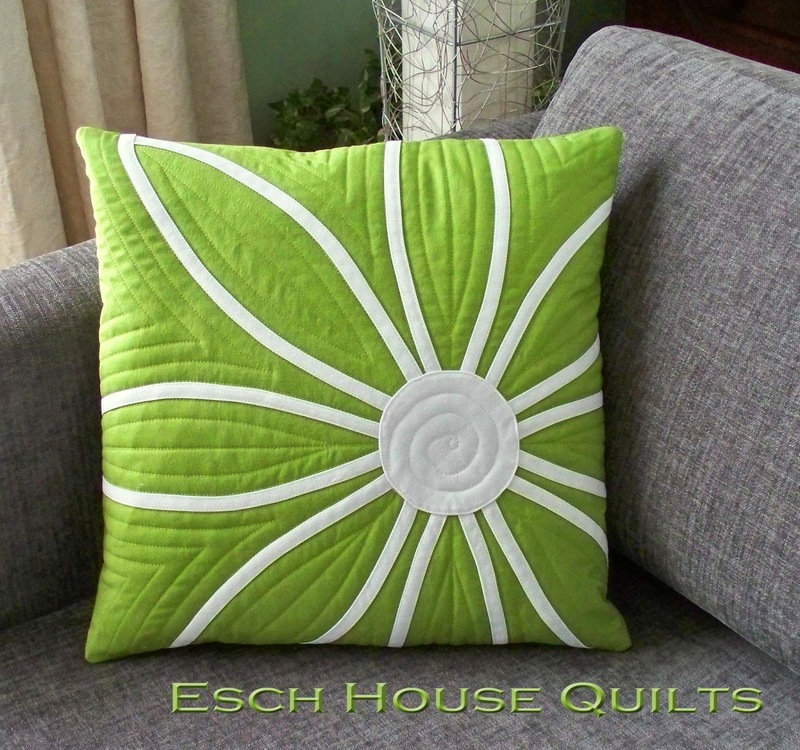 Pam has written a tutorial on two color binding. Jen is continuing her series of blog posts on copyright and quilting with a discussion of the benefits of creative common copyright license for pattern writers. Lynn is proposing a crank-along for those with antique machines! Isn't hers a beauty! There is a sew-in this Sunday (4/13) from 12pm - 4pm at Pink Castle Fabrics. Please book your spot on the Pink Castle classes site. There are two spots still available for this amazing class! An email was sent to members with a registration form. Weekly Round up for March 5, 2014! 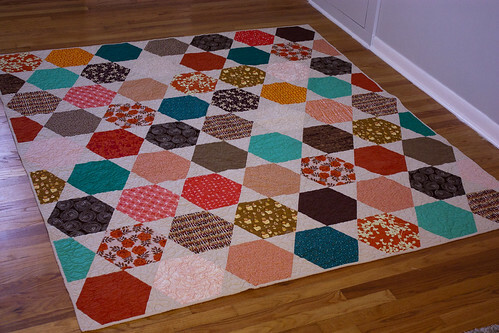 Love the colors, and the quilting! 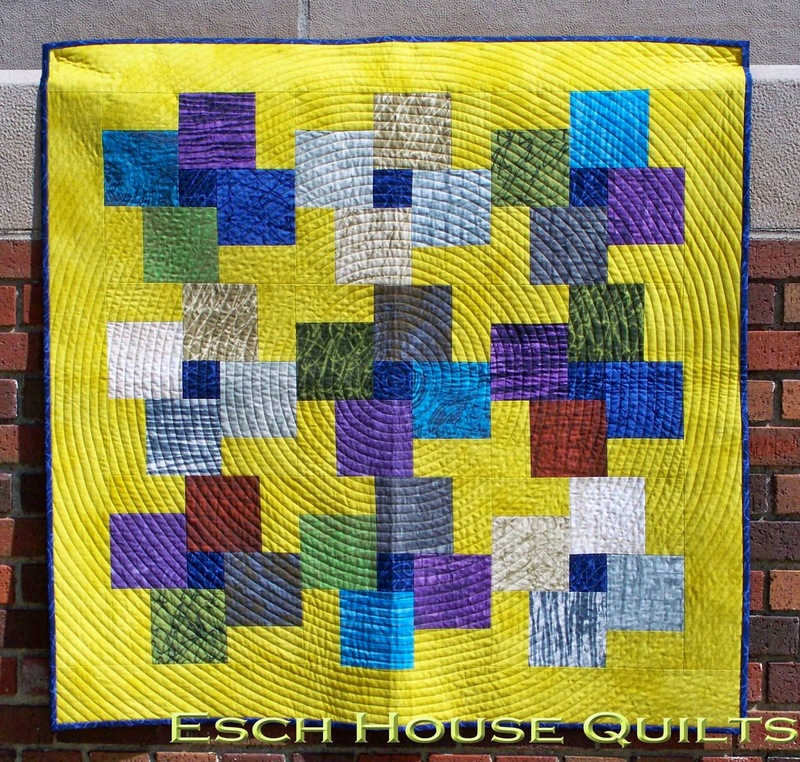 The pattern is Circle of Flying Geese from Jeli Quilts. 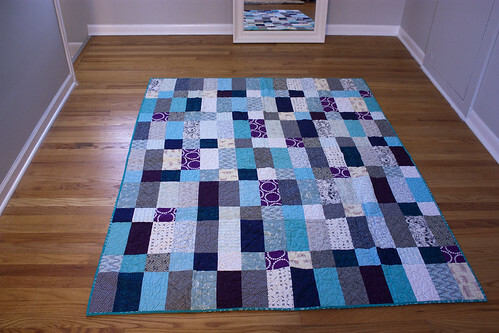 And Ginia is showing how she sets up her sewing room for free motion quilting on her blog.